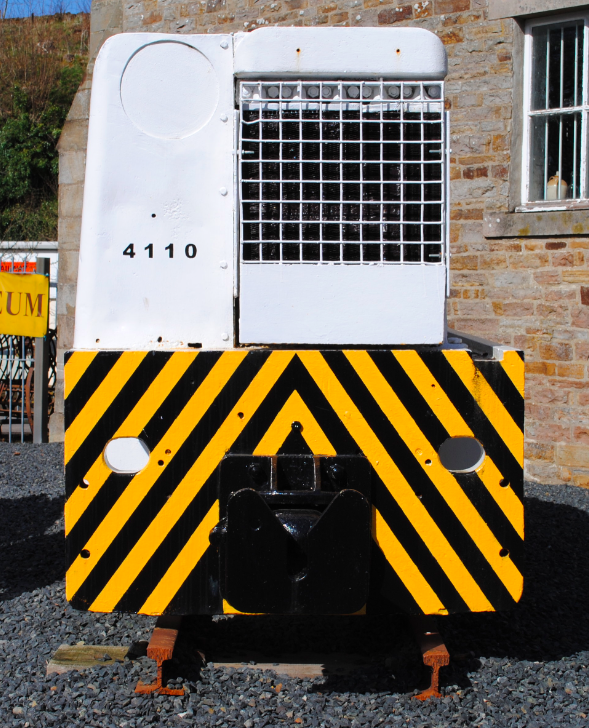 Outside the Hub Heritage and Transport Museum in Alston is the above Hunslet 0-4-0 DMF. 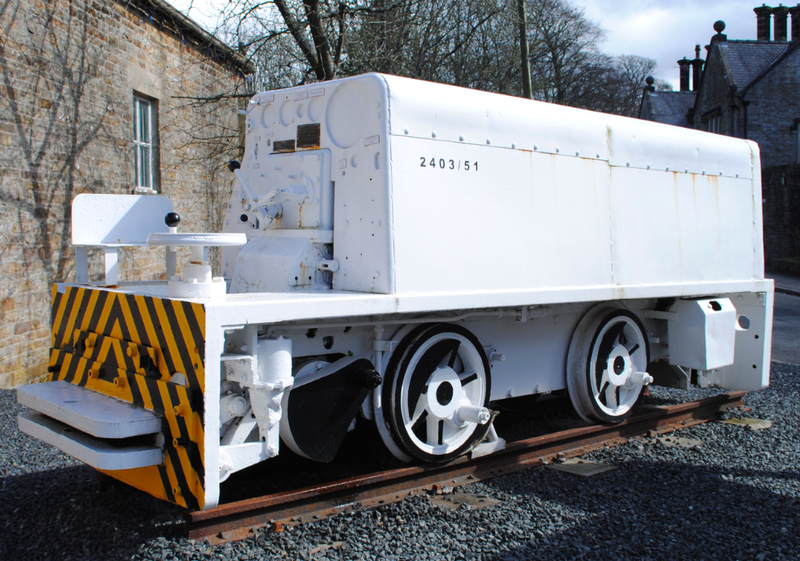 It is an example of the standard Hunslet loco of the period which was supplied to various collieries around the coalfields as part of the mechanisation of collieries undertaken by the National Coal Board in the 1950’s. The Hunslet left the Leeds works on 29th September 1952 and was delivered to Chiltern Colliery. It hauled coal from underground at Chiltern Colliery to the Dean & Chapter Colliery shaft where it was brought to the surface. In 1956 the Hunslet was allocated National Coal Board Number 2403/51. This was a unique identification and was painted on the locomotive. The number was broken down as follows: 2=NCB No.2 Division, which was Durham; 4=No.4 Area within the Durham Division and 03 which was Chiltern Colliery within No.4 Area – the collieries being numbered from 01 alphabetically. Exhaust gases are channelled through an exhaust conditioner where the noxious fumes are reduced to acceptable levels. To make the locomotive safe for mine working, further improvements were made to make the engine completely flameproof. This was to meet the stringent safety requirements to work in an environment where explosive gases were present. This was successfully achieved in 1939 when Hunslet No. 2008 went to Rossington Colliery near Doncaster. 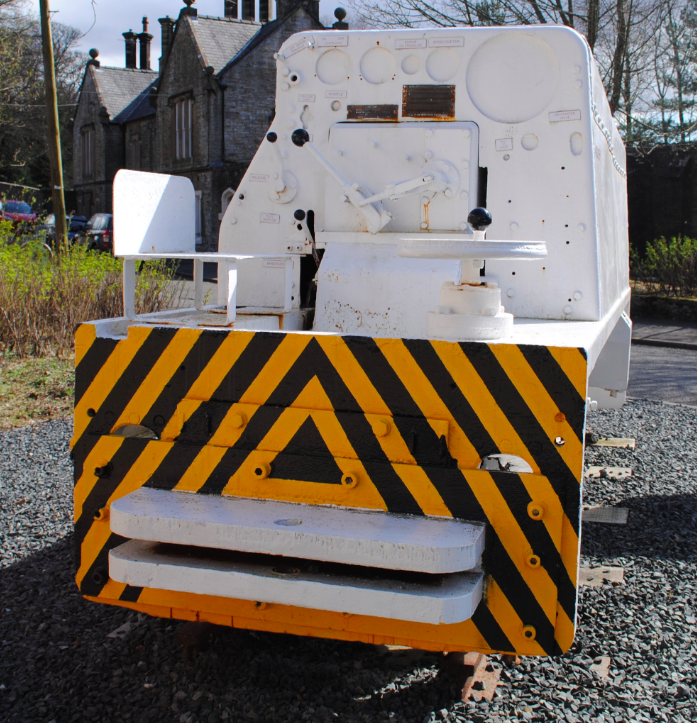 The underground locomotives had pipes pointing down towards the wheels which were designed to blow sand on to the tracks to aid traction when the vehicle was pulling heavy loads or going up gradients. 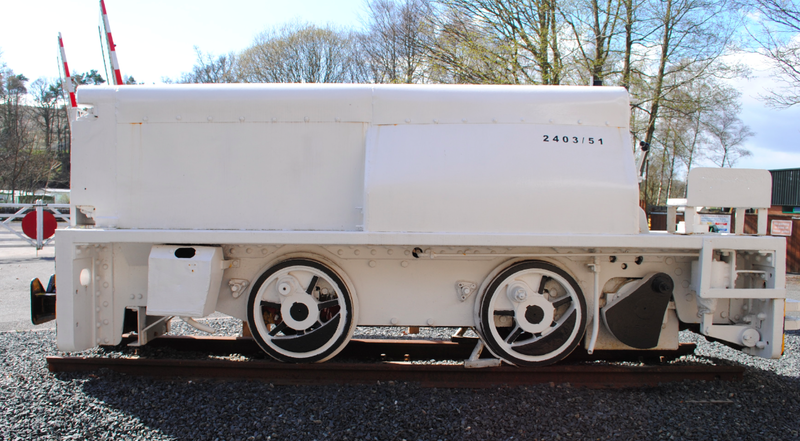 The Hunslet is a fine example of our industrial heritage.